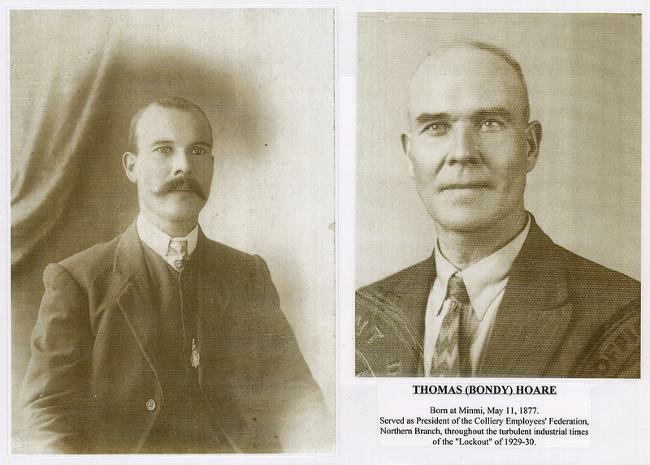 Thomas (Bondy) Hoare led the demonstration at Rothbury after the mining company fired 10,000 union workers for not receiving a pay cut. The owners tried to re-open a mine with non-union workers. He was famous for saying he would ‘Lift the lid off hell’ to stop the mine from reopening. The demonstration, which escalated into a full riot when bullets were fired, was stopped by police. Despite his vital role in the ‘Rothbury riots’, little is known about this man’s life. He was the President of the Northern branch of Miner's Federation during the Lockout.